Here are some pictures from November 27th- 30th. 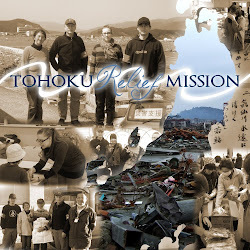 Four of us went to help with the delivery of 5 truckloads of supplies to Sakana no Miura supply base that we’ve been working out of for the past months. The first truck was full of boxes of miso – very heavy. Daniel Sakai and his son Kento. A Big thank you to Dan Sakai for lending his van to use for the trip. More than 15 tons on the first day. The next day, we went to pick up fishing boats that had been sent from Hokkaido. After 3 days of hard work, happy with new friends.